LED Lighting Kits Polar-2511 kits; Design for Highbay and horticulture lights 1100~1600lm; Rth 3.5°C/w; Suitable for 8w/10w/15w/25w/30w/35w; Self-taping hole or custom mounting holes for Zhaga book 3 and book 11 LED modules; Standard finish-White anodized. MINGFA pays great attention to integrity and business reputation. We strictly control the quality and production cost in the production. 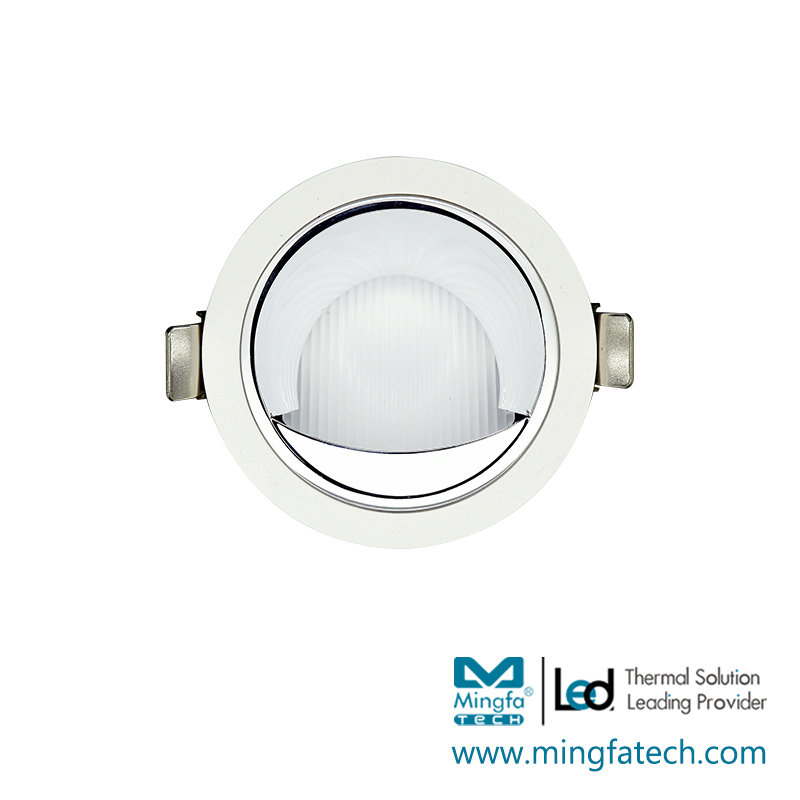 All these guarantee led light housing to be quality-reliable and price-favorable.In the production of electric equipment, MINGFA introduces advanced production equipment to enhance efficiency. Besides, we adopt advanced manufacture technique to effectively guarantee product quality. We improve the accuracy and stability of the equipment which lowers the malfunction rate. 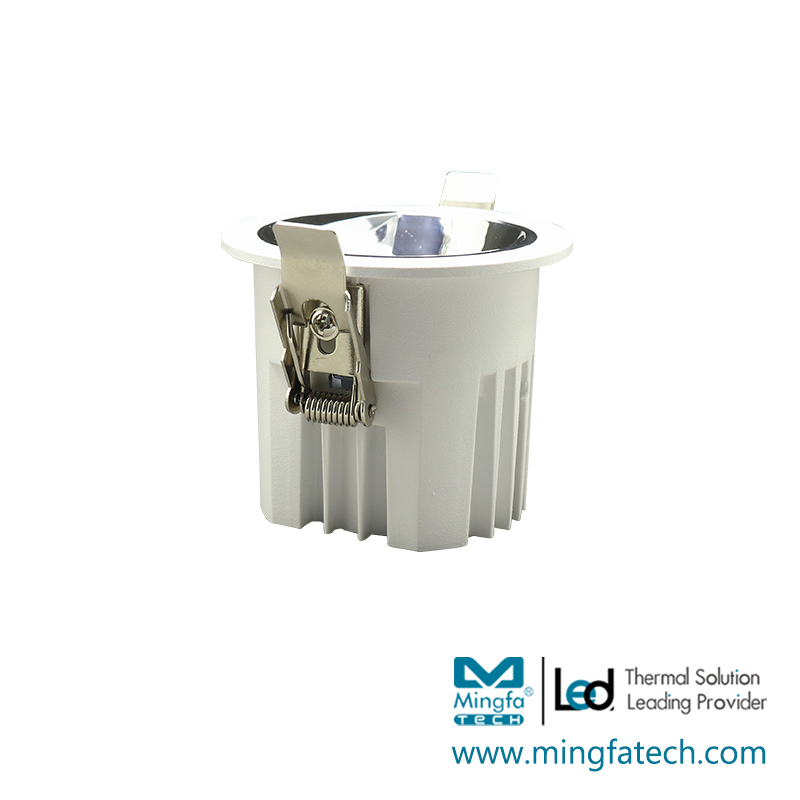 Compared with the general electric equipment, led heat sink are more solid and durable.led light housing has the following advantages over other products in the same category. Reinforced shrapnel design, suitable for ceilings of different thicknesses. Adopt the design of double optical parts to make the lamps and lanterns without glare. Die-cast integrated type lamp body design, easy assembly. The surface can be treated by powder spraying or oil spraying. Apply to COB or SMD light source, the beam Angle is 12/24/36 degrees. The kit includes lamp body, shrapnel, reflector cup/light baffle. 1. MingfaTech Manufacturing Limited has been focused on the production of for many years. 2. MingfaTech Manufacturing Limited has advanced production technology and testing equipment for . 3. Professional after-sale service and superior from MingfaTech Manufacturing Limited will satisfy you. Inquire!